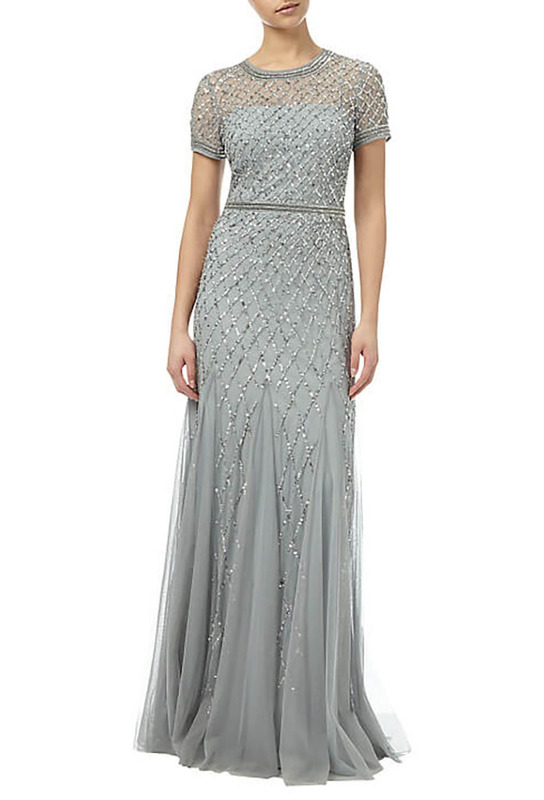 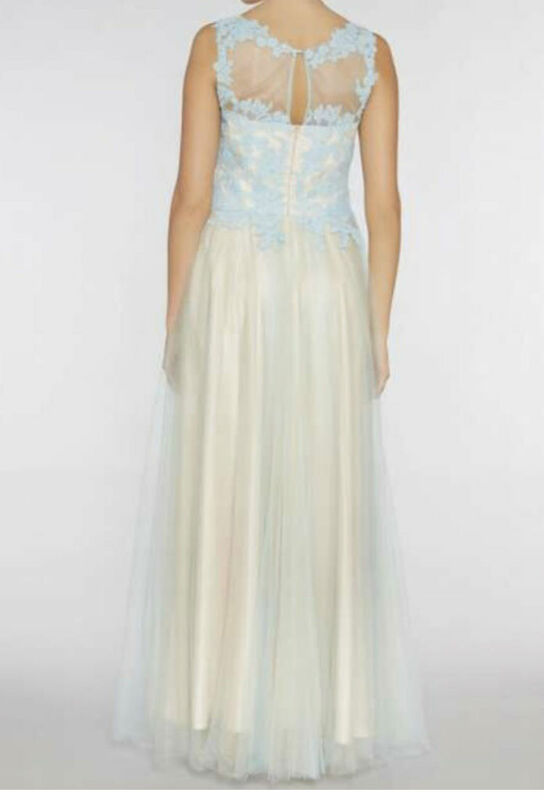 Feel extra special in this classy and feminine outstanding gown. 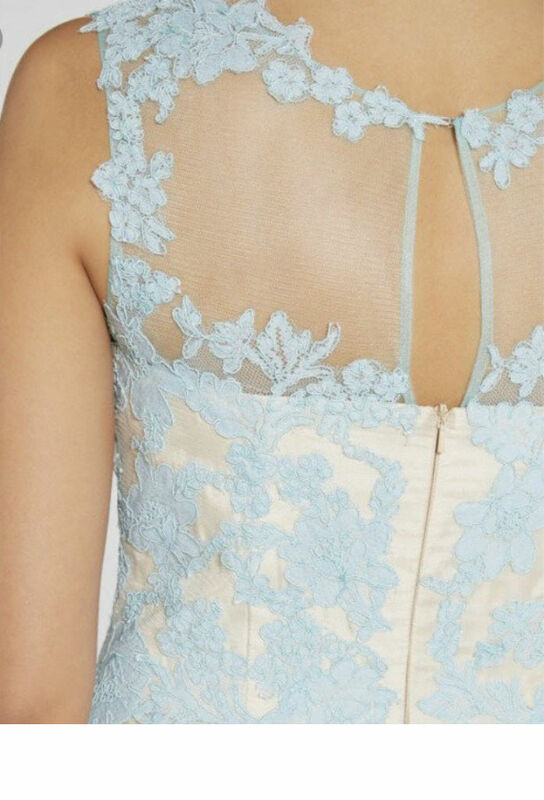 Designed with a floral lace bodice and a voluptuous mesh skirt, this dress accentuates the waist and creates a great hour glass shape. 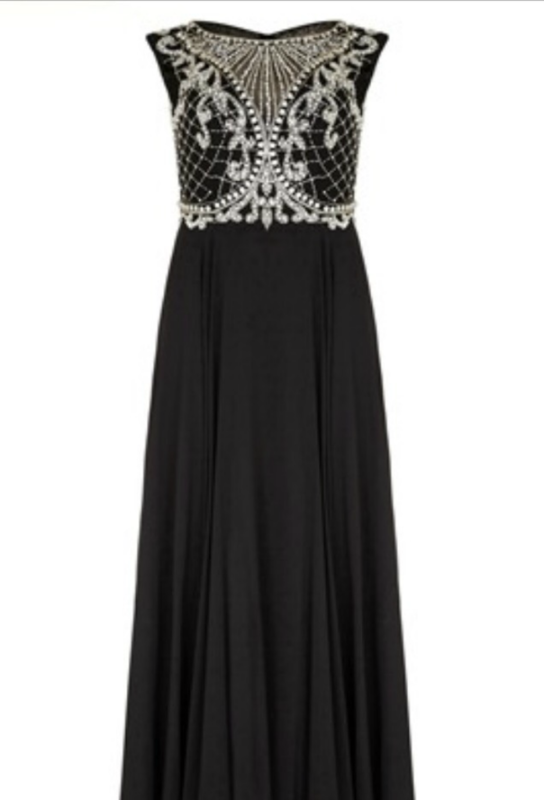 this floor sweeping dress features a heart shaped bodice with a mesh yoke, keyhole detail with hook and eye fastening and concealed centre back zip. 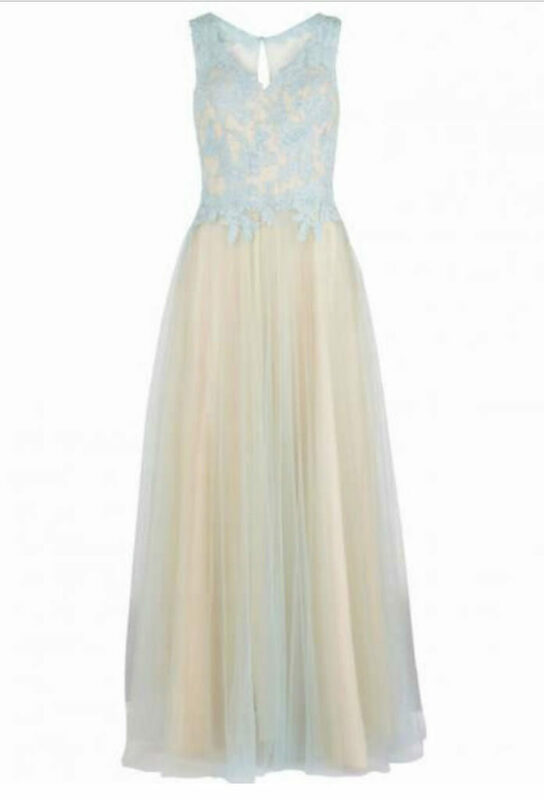 A wonderful bridesmaids option for this season.